Pesticide registration in Brazil is regulated by a range of laws, decrees, ordinance, technical standards, resolutions, normative instructions, which converge in some points and diverge in others; it involves three ministries with different responsibilities, with independent and/or joint actions – depending on the subject and the type of registration, which makes compliance with the legislation at least laborious. The three ministries involved are ANVISA (health), IBAMA (environment) and the Ministry of Agriculture – MAPA (efficacy and conclusion of the petition). 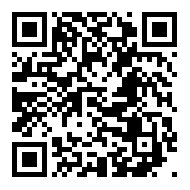 MAPA is responsible to approve the registration, but it can only do so after the definite position of ANVISA and IBAMA. According to the official publications, the average time for approval of equivalent technical product (TPE) regististration is approximately 6 years. The registrations of formulated products approved by MAPA in 2018 were mostly started between 2009 and 2012, i.e., 6 to 9 years. In 2017 and 2018, ANVISA rejected 30 and 22 registration processes, respectively. The number of rejections in the last 2 years are relatively low when compared to previous years, which may suggest that the companies registering pesticides improved the level of fulfillment of the regulatory requirements. As a way to speed the registration processes up, the companies have been using a resource provided in the legislation, which is a judicial suit against the agency, which has not started the evaluation of the petition in 120 days after its start. According to the survey carried out by AllierBrasil, ANVISA deferred 40 registrations as result from lawsuits in 2017 and 2018. The lawsuits started 4-5 years average after the processes have been filed. However, 25% of the processes were started in 2010 and 2011, i.e., 7-8 after filing the registration. 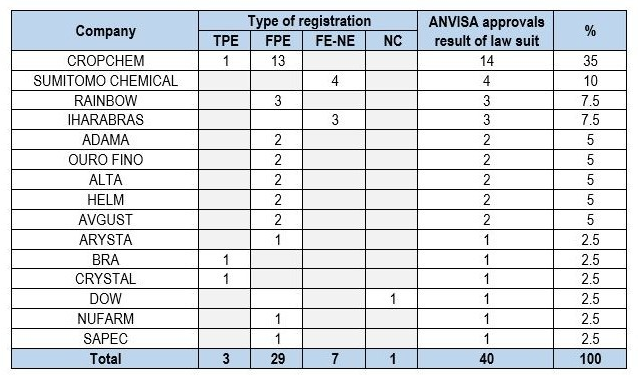 In 2018, 10% of the approvals by ANVISA resulted in approvals of FPE registrations by the Ministry of Agriculture. 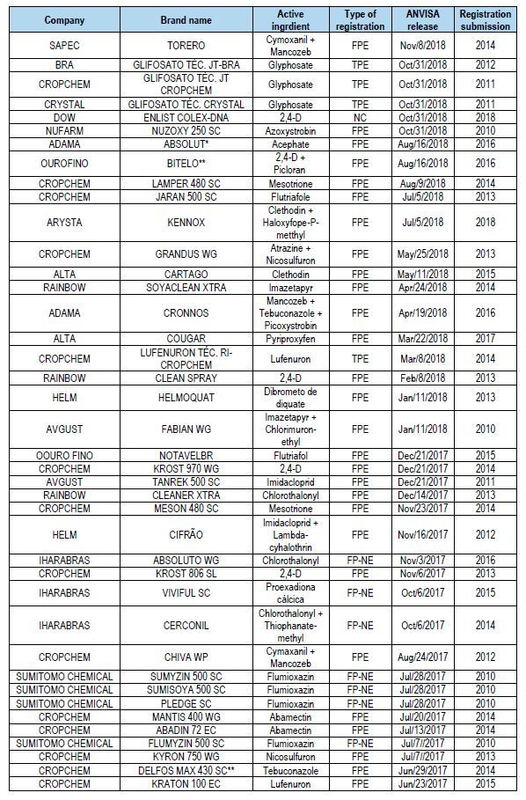 ANVISA, CROPCHEM, IHARA, RAINBOW and SUMITOMO CHEMICAL stand out among the companies that moved lawsuits; together, they represent 59% of the suits, whose registration evaluations have been approved. Although in the last 2 years the number of LAWSUITS remained stable and at low number compared to the number of processes in line for evaluation; however, these do not mean that this is a trend. In the last 3 years, quite significant number of registrations were approved, 1082. 11% of them were approved through AllierBrasil in the categories equivalent technical product and equivalent formulated product). The more products registered on the market, the higher the expectation of companies that await their registrations to access the market. This is because those that access the market first, tend to keep their market share longer. Thus, those, who are awaiting in the line, feel pressed to speed the approval of their registrations up, and considering the too-long deadline for registration approvals, they tend to consider lawsuits as an alternative. With the new government that took office on January 1, there is a big expectation from all sectors of the economy, mainly the agricultural sector, which has sustained the GDP of the country in the last years. And product registration is one of the main points, considering that Brazil is the largest agricultural exporter in the world, and the inputs, including pesticides, have an important value in the cost sheet in the agricultural production. The rationale is simple. More products on the market, cheaper products. Cheap products increase the competitiveness of the farmers on the international market. Product registration has been the biggest barrier to access the market for 3 decades. Furthermore, another barrier, equally difficult to pass, or even more, has already been consolidating through acquisitions and mergers of companies, which is the product distribution.